It is a cold winter day in Colorado. You are driving slower than usual due to the ice and snow. Suddenly an older car that is passing you on your left, in an apparent rush, starts to slide. It rotates towards you while coming into your lane. You put on the breaks the best that you can, but in a matter of seconds the vehicles collide. You feel dizzy and numb, but you do not know if you were injured. Once you are able to collect yourself you call the police. They inform you that they are on “accident-alert-status” and that since you did not report any major injuries they will not be coming to the scene of the accident. The other driver is apologetic and takes responsibility. You are not sure whether you need an ambulance. You exchange insurance information and you both drive away. A few days later, while in miserable neck and back pain, during a phone call with the other driver’s insurance company, you learn that the other driver now denies any wrongdoing. In fact, you are suddenly being blamed for the collision. During inclement weather or poor road conditions, drive slower than the posted speed limit. As a matter of law, you can be responsible for a crash going the speed limit, if the speed limit was unreasonably fast for the conditions. Always call the police and ask for a traffic accident report. 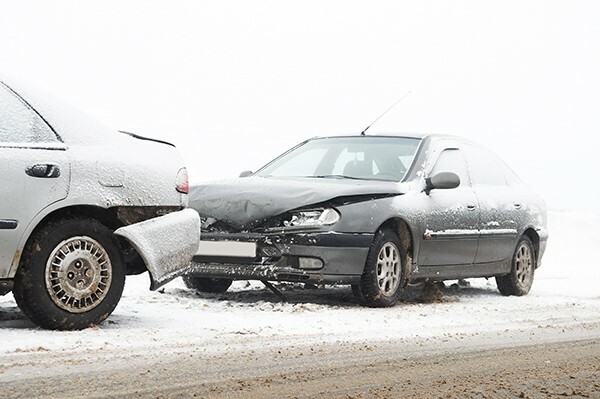 Due to weather conditions, the police might not show up for an accident, so safely document the scene before you move your car. Take photos from every angle and get a shot of the other party’s license and insurance card. The full extent of your injuries may not be known for a few days. See a healthcare provider to get a medical diagnosis. Many injuries do not present themselves right away. Stories can change. Tape your conversation with the other party if possible. Just because they took responsibility for causing the collision at the scene of collision does not mean that they will later when talking to the insurance carriers. Try and get the contact information of any witnesses that observed the crash. In addition to name and number ask them for an email address. Remember that insurance companies are for-profit entities. Their job is to settle the claim for as little money as you are willing to accept. You are under no obligation to give a statement to the adverse adjuster. Only your own insurance carrier may ask you for a statement. If you end up being taken to the hospital, remember that in Colorado the hospital has an obligation to bill your health insurance company if you have health insurance. It is not appropriate for them to refuse to bill the health insurance carrier when available and to assert a lien against you simply because there is an additional car insurance policy. Make sure to review your own car insurance policy. Legally mandated liability coverage only protects others. UM/UIM coverage protects you and is some of the cheapest insurance in the world. Similarly, there are many advantages to adding Medical Payments coverage to your car policy. When in doubt, consider asking for a free consult with a personal injury attorney to explore your options.